An astounding number of awards for outstanding scientific achievements, eight in total, went to scientists and clinician-scientists of the Department of Ophthalmology at the University of Cologne at the annual meeting of the German Ophthalmological Society (DOG) held in Berlin from September 28th to October 1st 2017. Cologne eye researchers also won many prizes in 2015: http://www.for2240.de/cologne-eye-researchers-take-the-cake-at-dog-2015/ and in 2016: http://www.for2240.de/four-sciences-prizes-for-five-cologne-eye-researchers/. Important parts of the prize-winning work was conducted within the German Research Foundation (DFG) Research Unit FOR 2240, which is the first and so far only DFG research unit ever to be housed in a university ophthalmology department. Prof. Ludwig Heindl, who is one of the principal investigators of project P4 of the FOR 2240, was awarded the most highly funded award of the German Ophthalmological Society (DOG), the prestigious Leonhard Klein Prize, which is sponsored by the Leonhard Klein Foundation. The work that won him this honor concerns novel treatment options for melanomas of the iris and ciliary body, in particular genetically tailored tumor vaccinations that improve patient survival rates. Dr. Philip Enders won the Glaucoma Research Prize of the DOG, sponsored by Santen Pharmaceuticals Company. He is an affiliated clinician-scientist of project P1 of the FOR 2240. Dr. Uta Gehlsen, who is a scientist closely affiliated with several FOR 2240 projects and who is in the Ocular Surface Group of Prof. Philipp Steven, received the Basic Science part of the two-part Science Prize for Dry Eye and Blepharitis/Meibom-Gland-Dysfunction (MGD). This prize is sponsored by the Optima Pharmaceutical Company (GmbH), Moosburg. It recognizes outstanding work on dry eye disease and blepharitis/MGD, and considers the relevance of the work both in clinical and basic science areas. Dr. Jens Horstmann, who is a postdoc in central project C1 of the FOR 2240, won the Dry Eye Research Prize sponsored by the German Ophthalmological Society together with the Professional Association of Ophthalmologists (BVA). Prof. Dr. Thomas Langmann, who is the Vice Speaker of the FOR 2240 and the principal investigator of project P6, was awarded the Theodor Axenfeld Prize for his work on polysialic acid as a novel treatment option for diseases such as age-related macular disease. The prize is sponsored by Thieme Publishers. Carsten Balser (Cologne) won a PhD scholarship from the German Ophthalmological Society. The Department of Ophthalmology in Cologne is a local center for the international examinations of the International Council of Ophthalmology (ICO; www.icoph.org), which is headquartered in London. 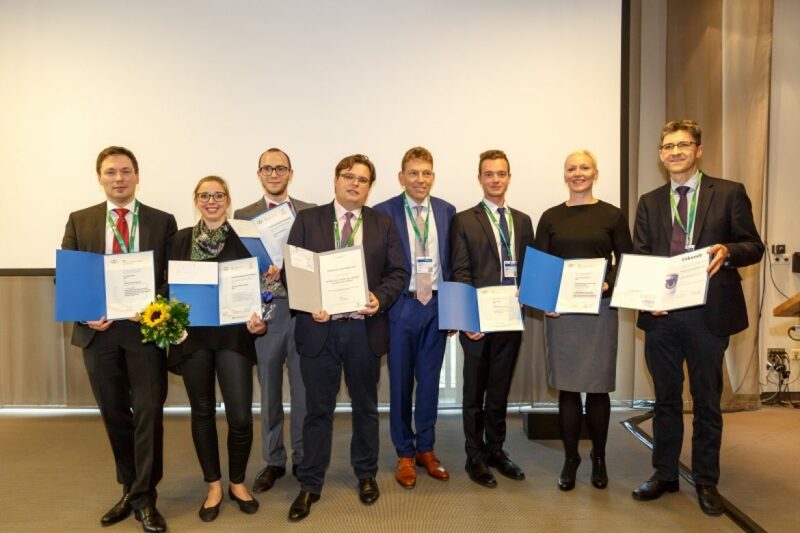 Three of the sixteen participants of the session of standardized examinations held in Cologne in April 2017 were awarded an ICO exam prize at this year’s DOG annual meeting for their outstanding scores: Dr. Philipp Lothar Müller (Bonn), Dr. Joel Michael Mor (Cologne) and Dr. Anna Maria Lentzsch (Cologne).